Update: After the leak earlier on December 5, Epic has officially revealed 'Fortnite Creative.' While the new third mode was originally leaked through a YouTube video, Epic has now published a full blog post on the new mode. Just below, you can see the official trailer for the new Creative mode. Those who purchase the Fortnite Season 7 Battle Pass will have access to their own private island starting tomorrow, on December 6, and Fortnite Creative will launch for all players a week later, on December 13. This leak originally comes from YouTube creator Lachlan, who has since removed the video of the new "Creative Mode" published it earlier today on December 5. Thankfully, Reddit has a complete archive of the footage of the new mode. So, what is the new Creative Mode for Fortnite? 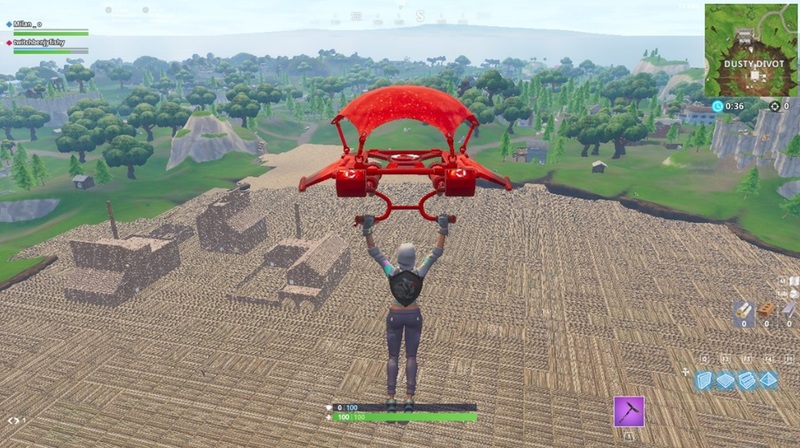 It appears that Creative Mode puts you into an existing Battle Royale map, and offers you the opportunity to completely restructure the map to your wishes, using premade scenery elements and other props to construct race tracks, for example. Think Playground mode, but it's easier to construct. You can then upload your edited map for other Fortnite players to play and partake in. You can also set custom rules for your own map made in Creative Mode, so if you want to play a team deathmatch mode, or simply explore the entire map in free roam, you can do exactly that. In the original video, Lachlan says that the Creative Mode is due to launch "tomorrow." If we're to assume that this new Fortnite mode was set to be revealed at The Game Awards 2018 on Thursday, then this would have it launching in full on Friday, December 7. Before then, Fortnite Season 7 is due to launch on Thursday, December 6. For a complete guide to the new seasonal event, as well as a list of the global launch times, head over to our Fortnite Season 7 guide.